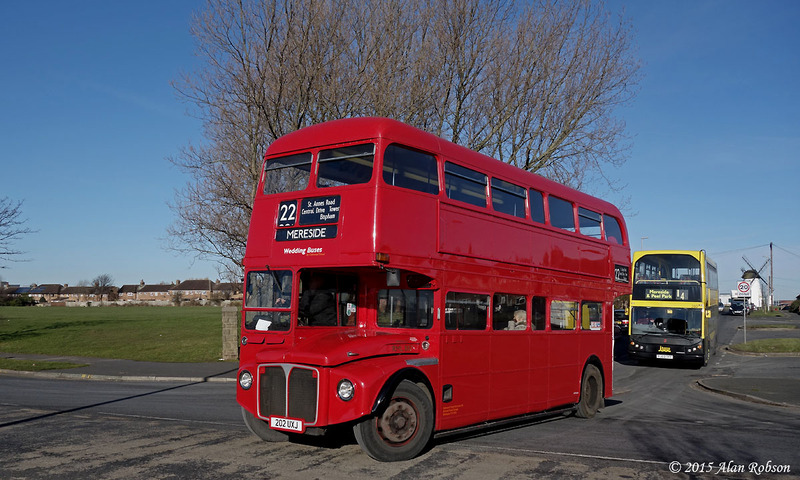 The fifth consecutive day of heritage crew driver training saw Twin Set 272+T2 in use again along with Balloon 717. 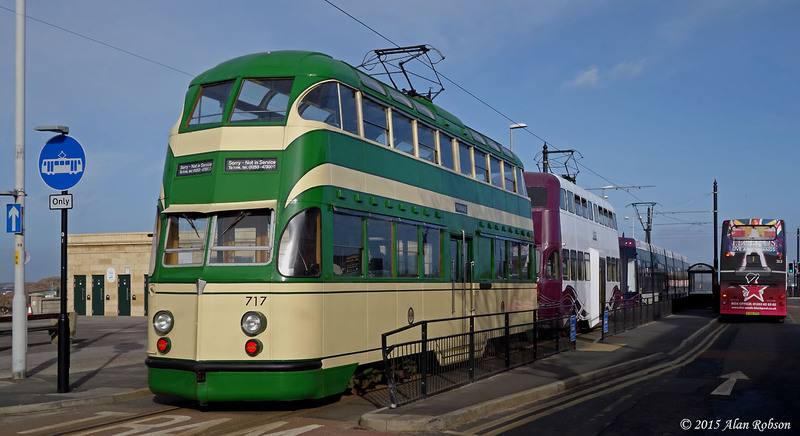 The Twin Set was the first to leave Rigby Road depot on its training run, followed an hour later by Balloon 717 which ran through to Fleetwood. 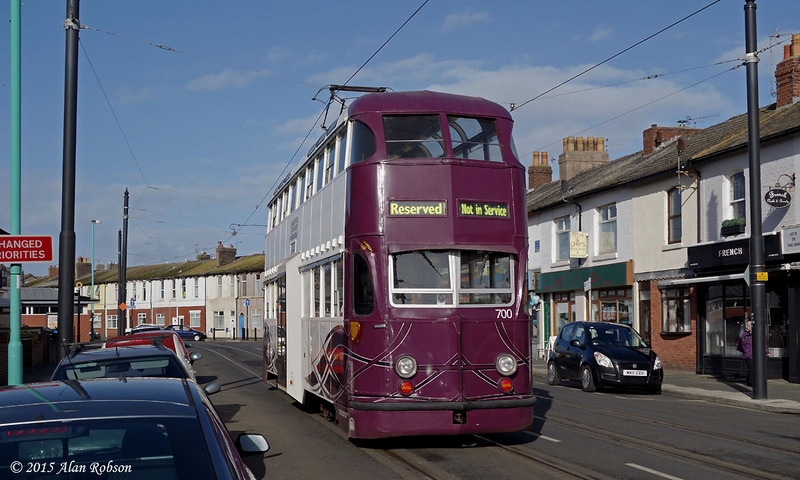 Prototype Balloon 700 was noted in Fleetwood on driver training duties today. 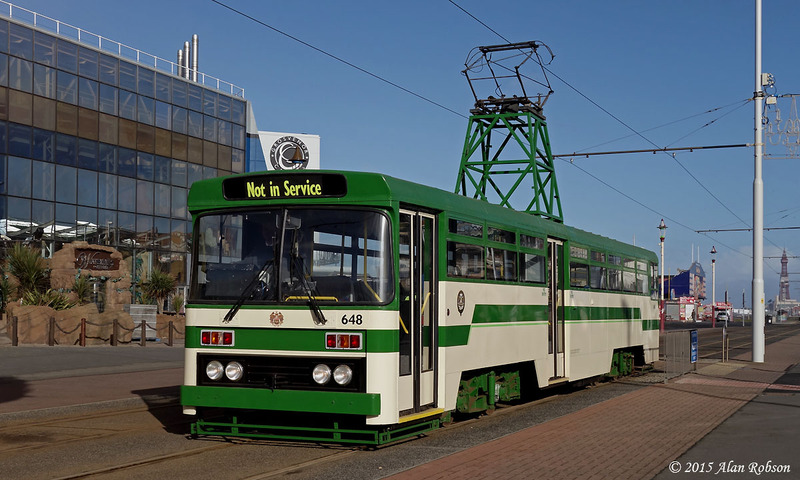 The damage to the cab door that the tram received on Monday when the strong wind whipped it open and snapped the restraining chain was quite plain to see. 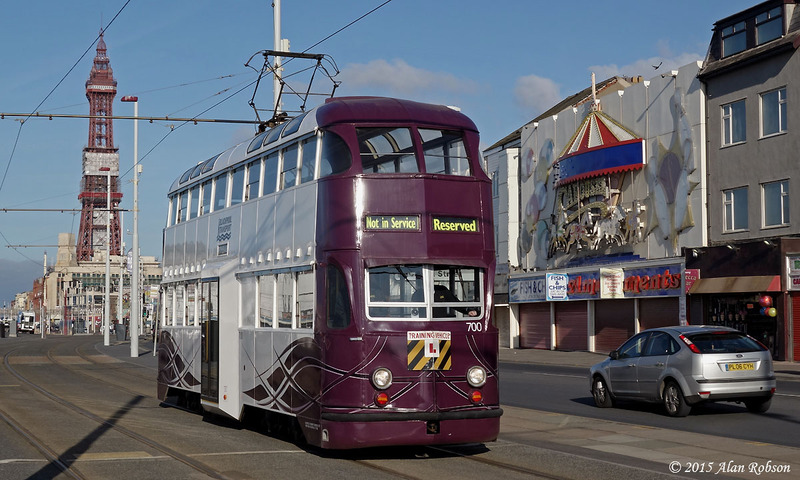 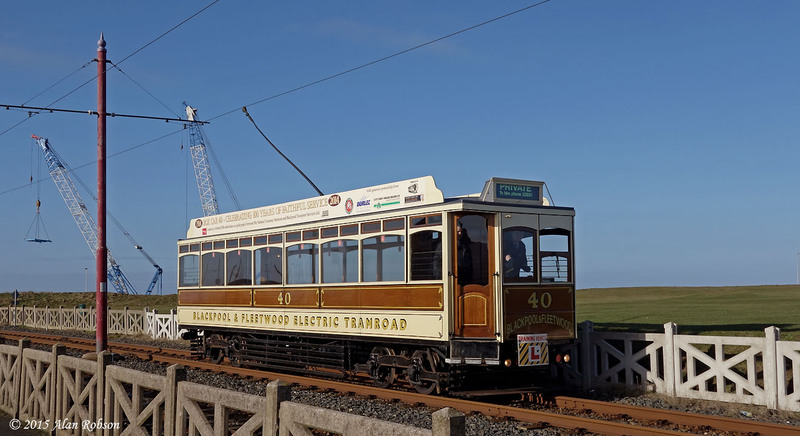 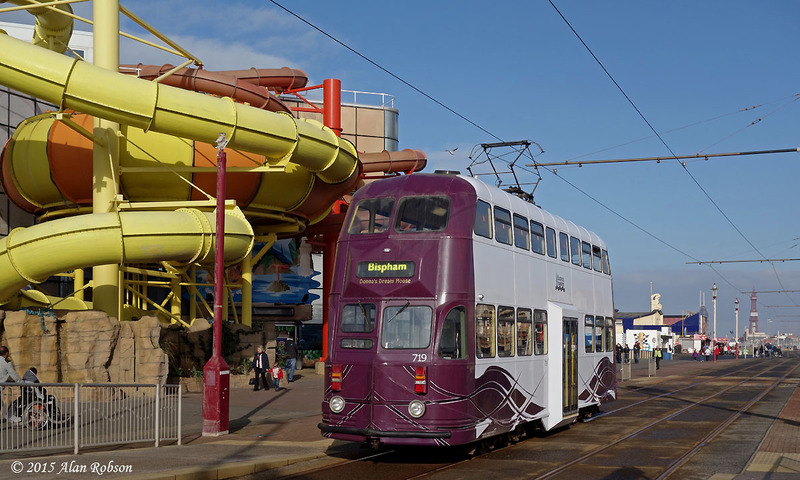 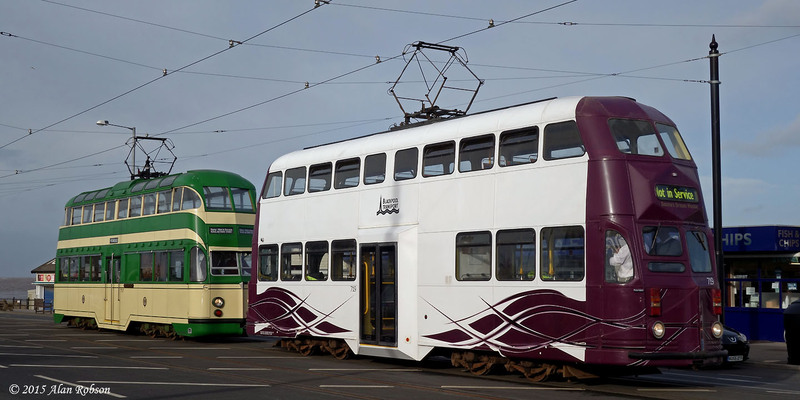 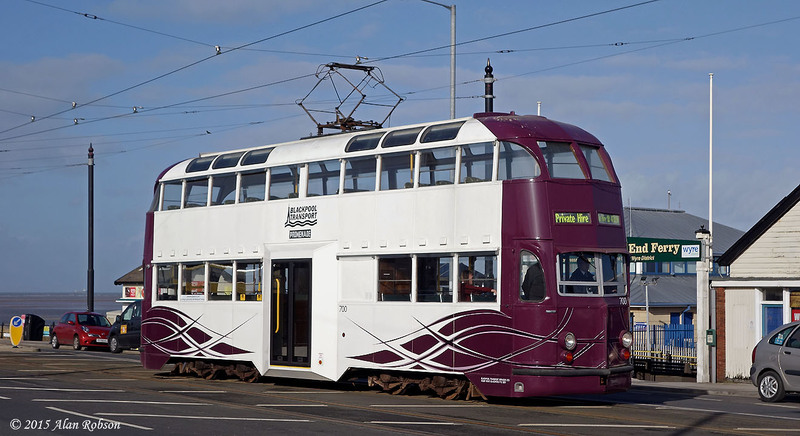 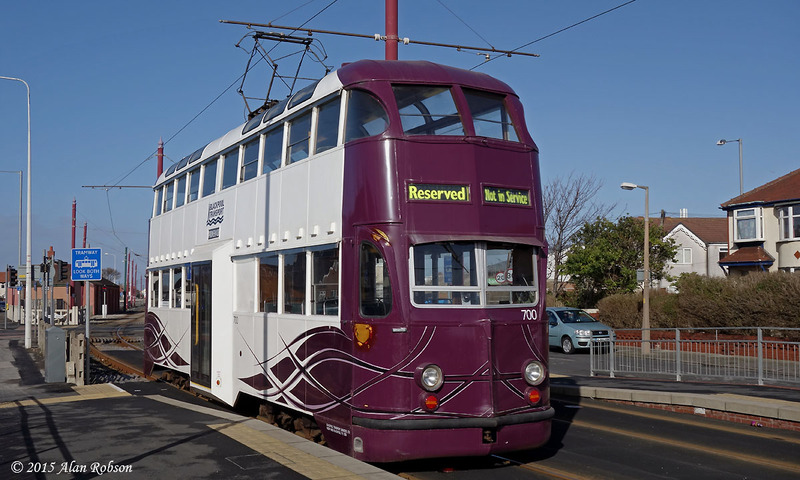 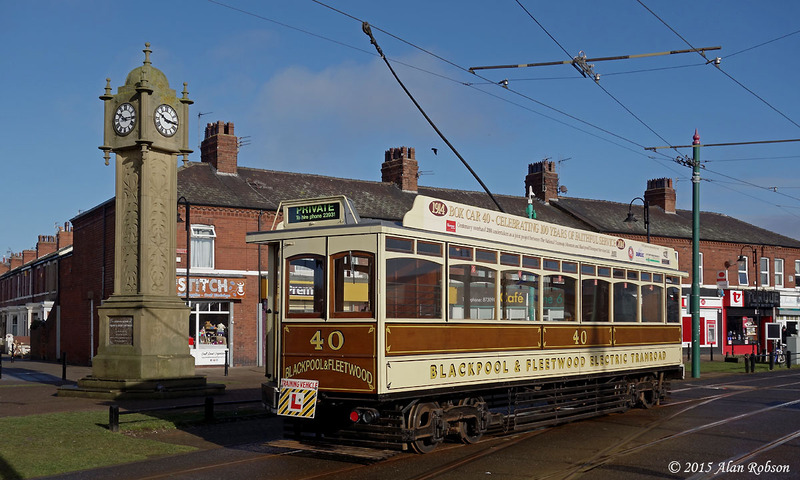 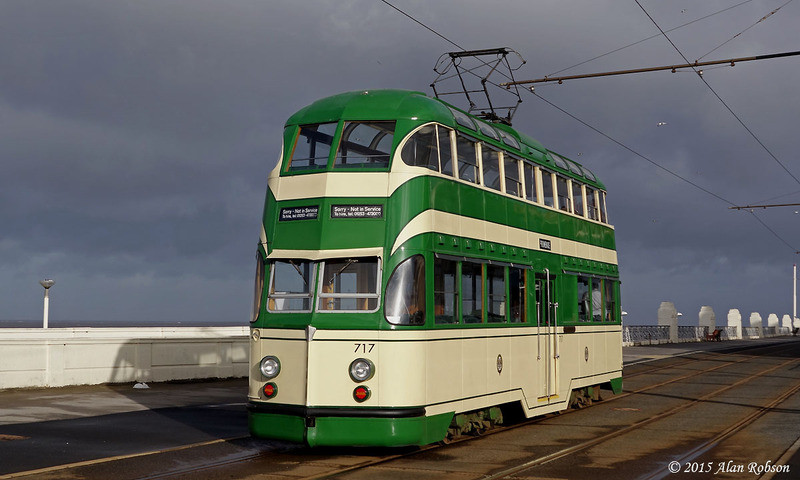 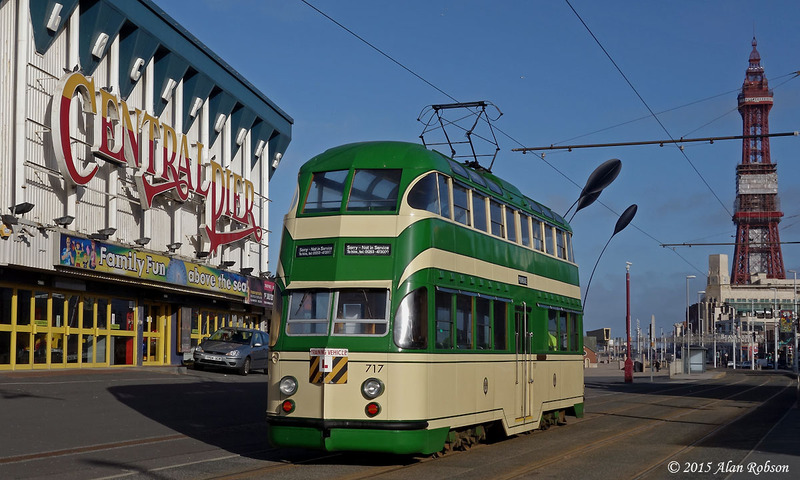 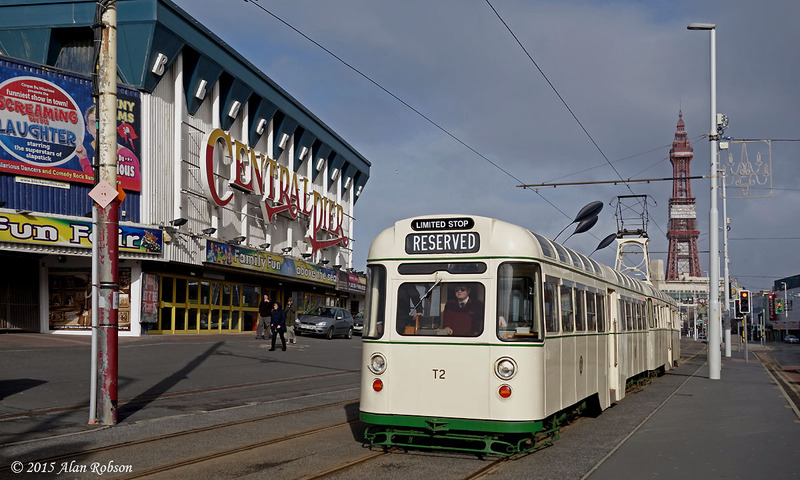 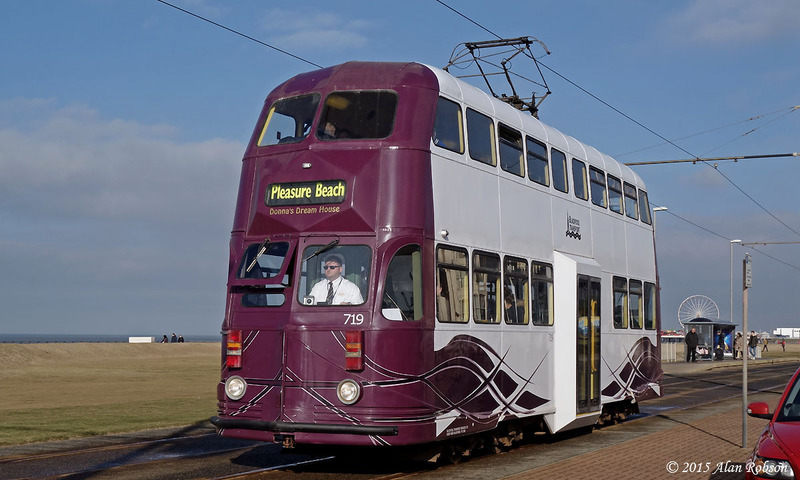 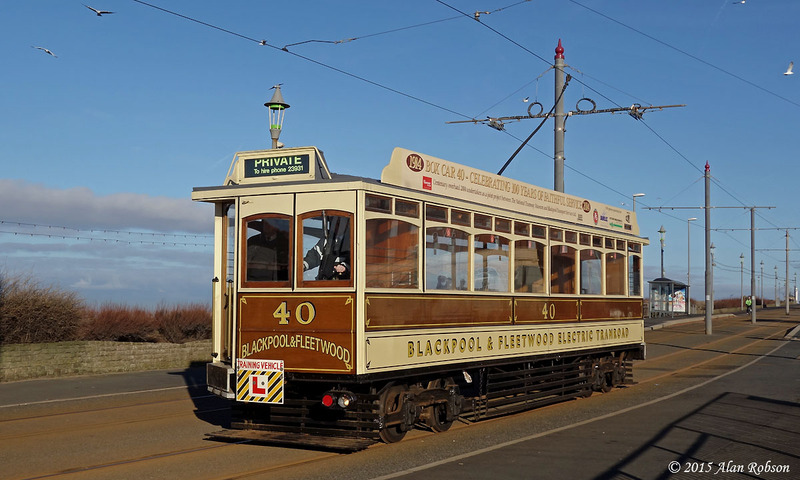 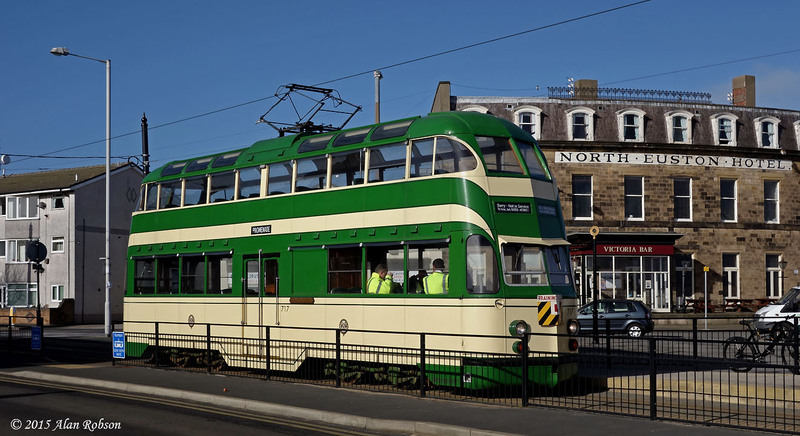 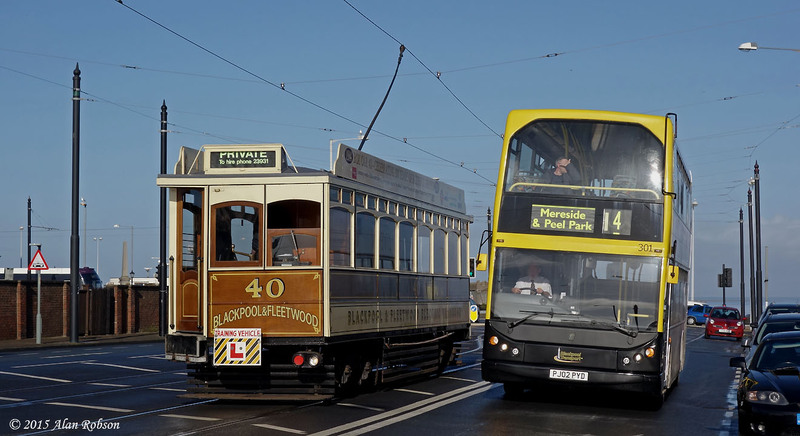 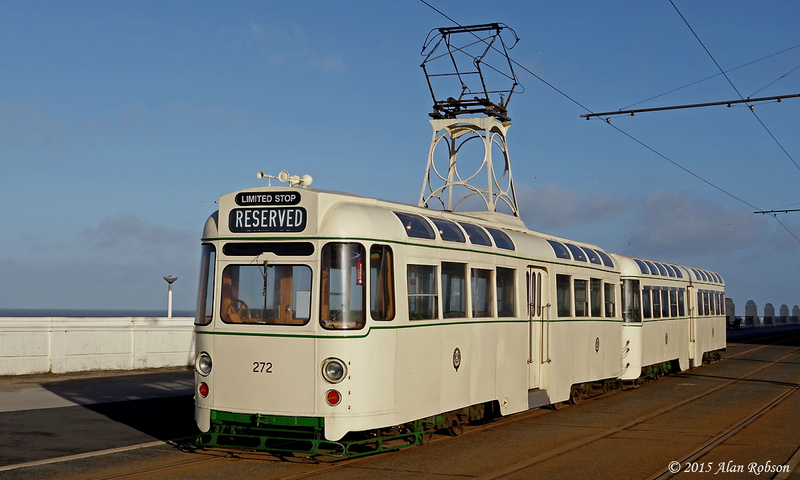 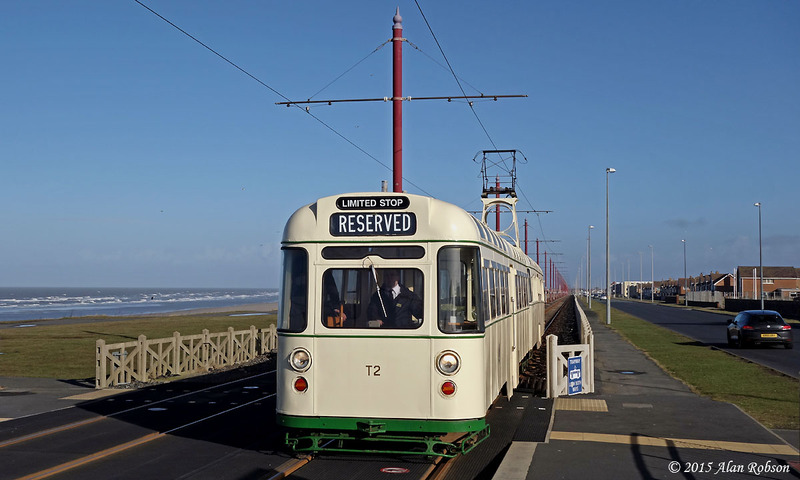 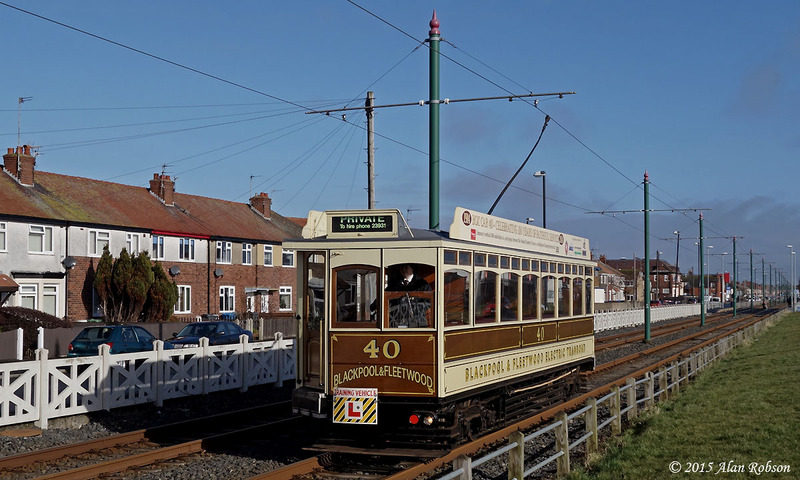 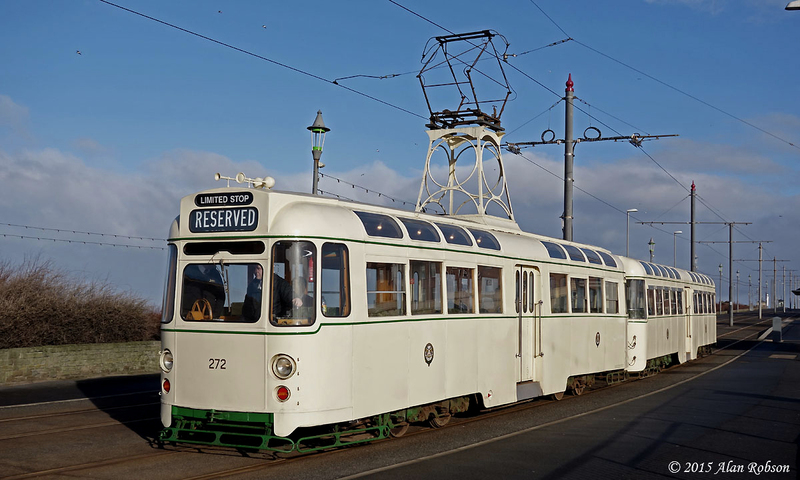 On the third day of heritage tram crew training this week, Blackpool & Fleetwood Box Car 40 was the tram selected for use. 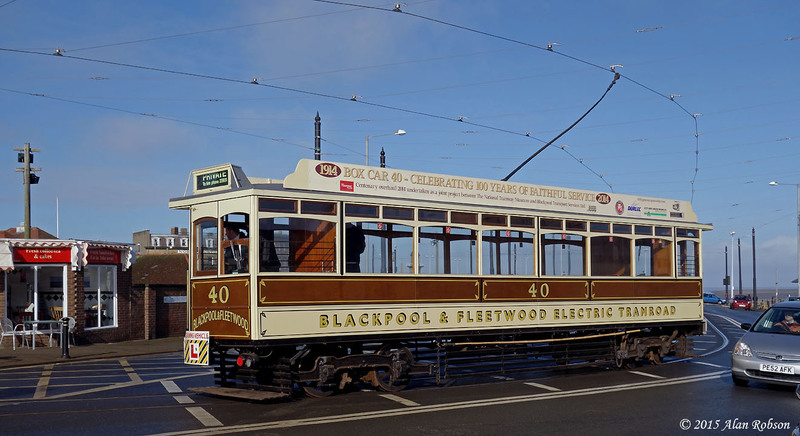 Box 40 left Rigby Road depot shortly after 0900, and then proceeded to make a driver training run right through to Fleetwood Ferry before returning to Blackpool. 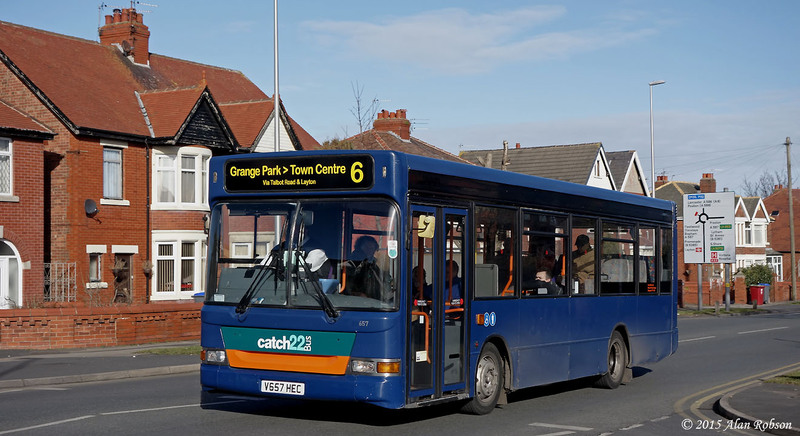 Former Diamond Bus of Kidderminster Dennis Dart V658 HEC has been repainted from its previous all blue colour scheme into the Catch22Bus corporate livery, and has now entered service on route 6 to Grange Park. 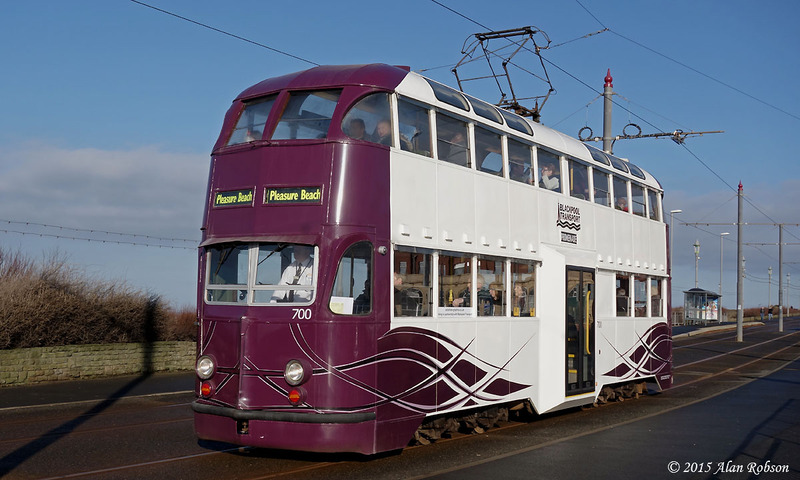 Balloons 700 and 717 were in use on driver training on Monday 23rd February. 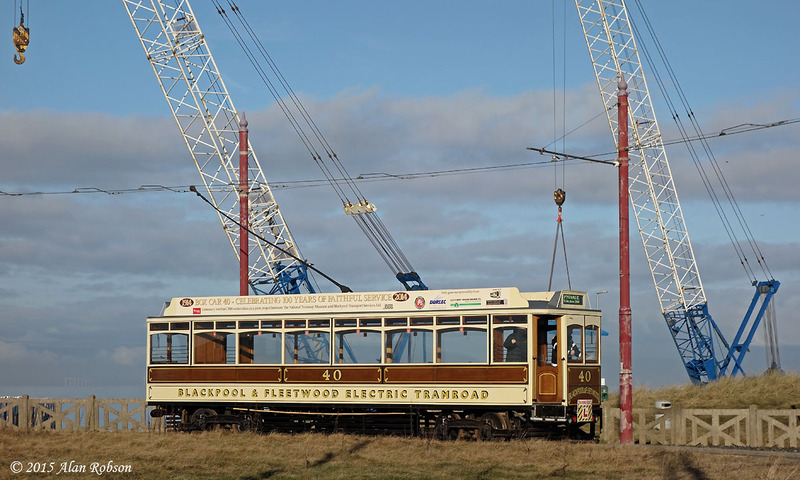 700 had to retire to the depot early due to one of the cab doors being ripped open by the strong wind, causing the retaining chain to snap. 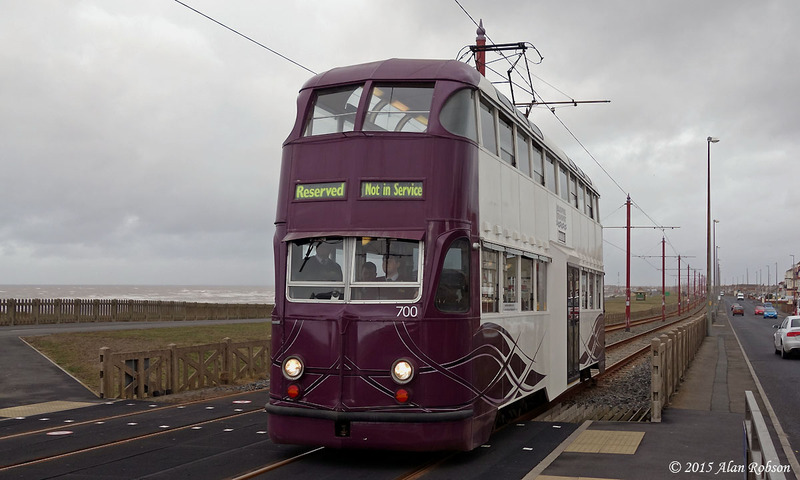 Balloon 719 took the place of 700 on training duties for the rest of the day. 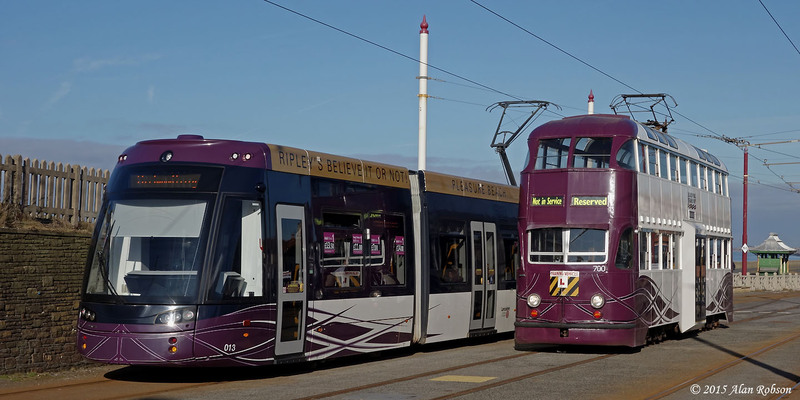 717 and 719 both made the journey through to Fleetwood, posing together on the Ferry loop for a few minutes. 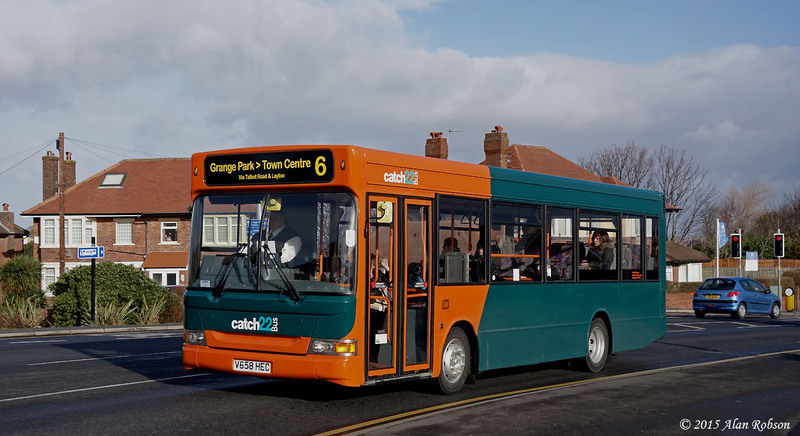 Another second hand Mini Pointer Dart has entered service with Catch22Bus Ltd. 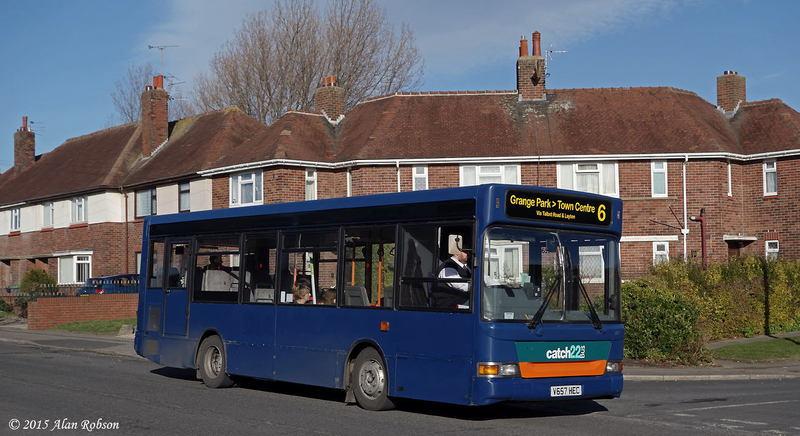 The Dart, formerly with Diamond Bus from Kidderminster, has been noted in service on route 6 to Grange Park, the vehicle is V657 HEC and it is still running in the former owner's dark blue livery. 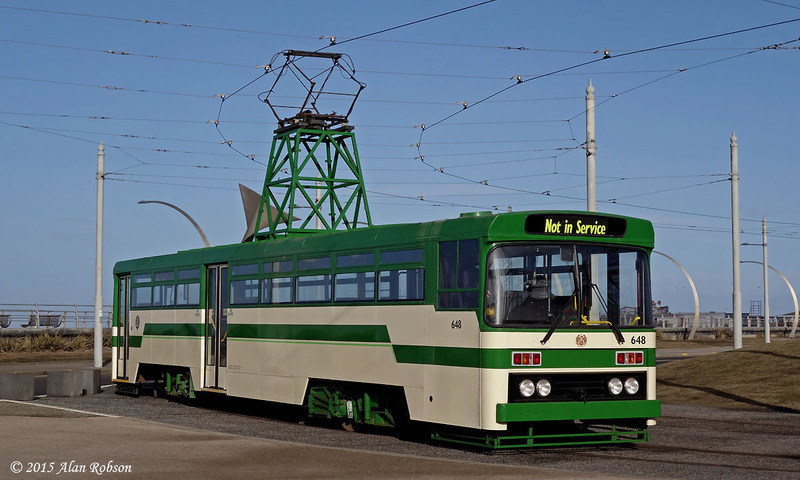 Sister vehicle V658 HEC has also been acquired, but this bus is being repainted first before entering service. 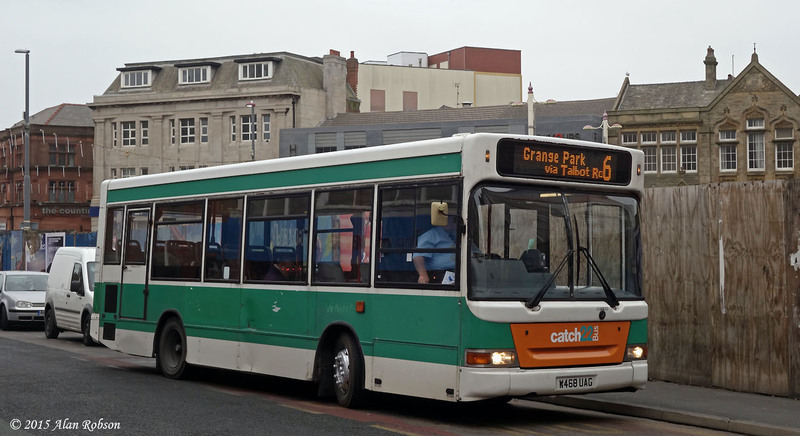 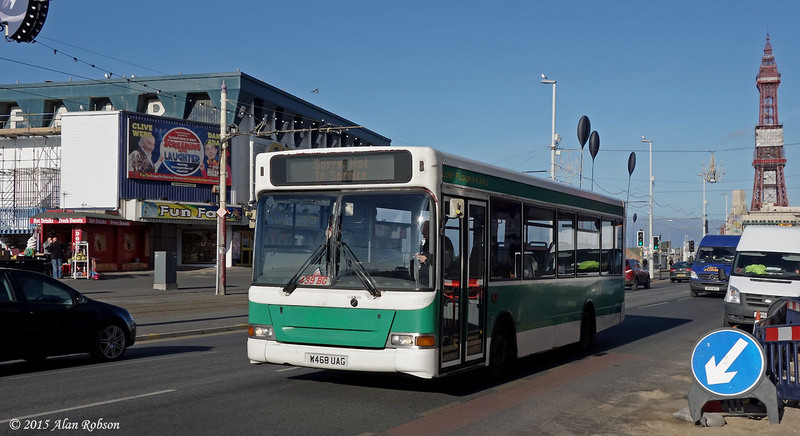 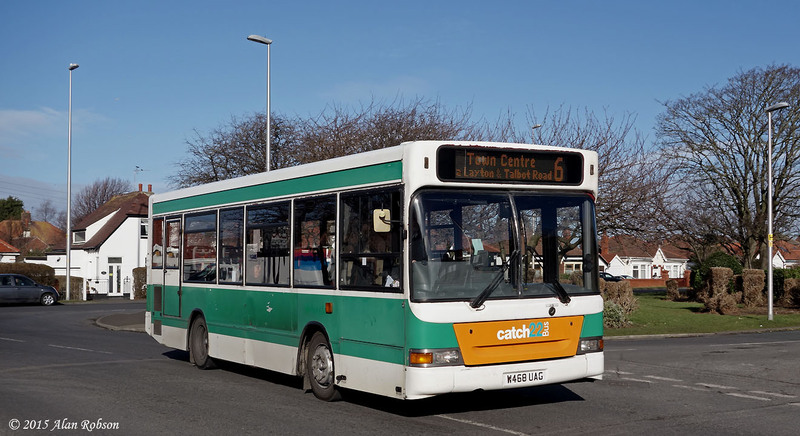 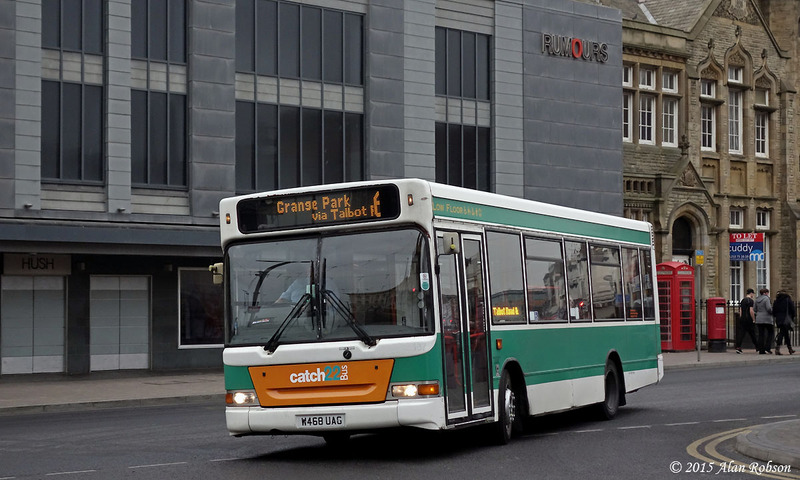 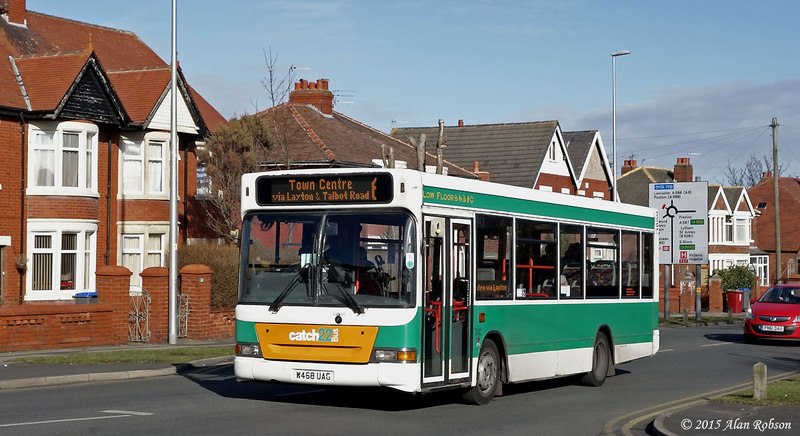 Green and white former Whittle Dennis Dart W468 UAG has also been in use on service 6, along with existing vehicles that are wearing the turquoise and orange Catch 22 fleet livery. 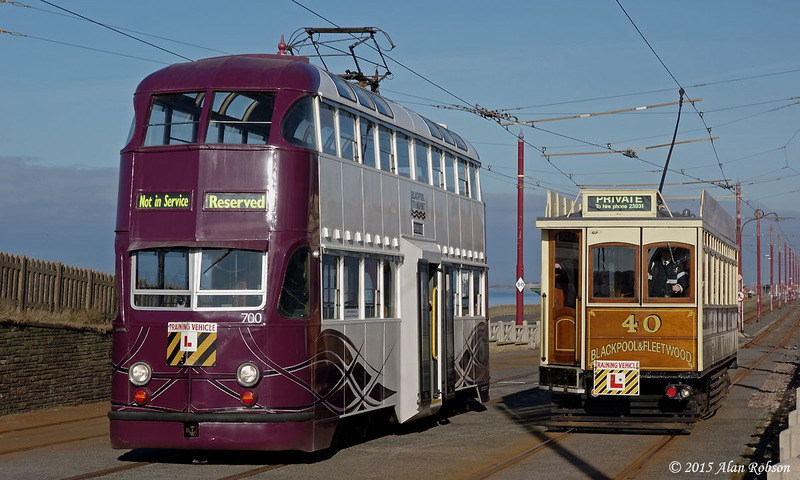 Here are a selection of photos from last Friday's heritage driver training day that used Blackpool & Fleetwood Box Car 40 and prototype Balloon 700. 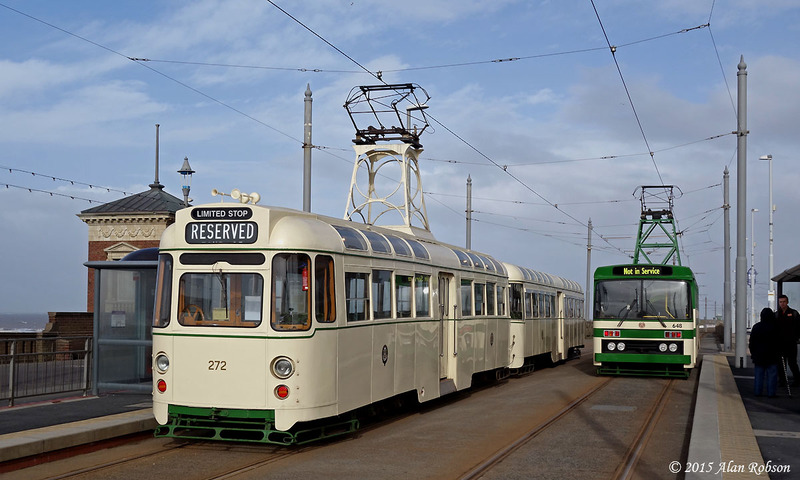 Friday 6th February saw two of the heritage fleet being used on driver training duties. 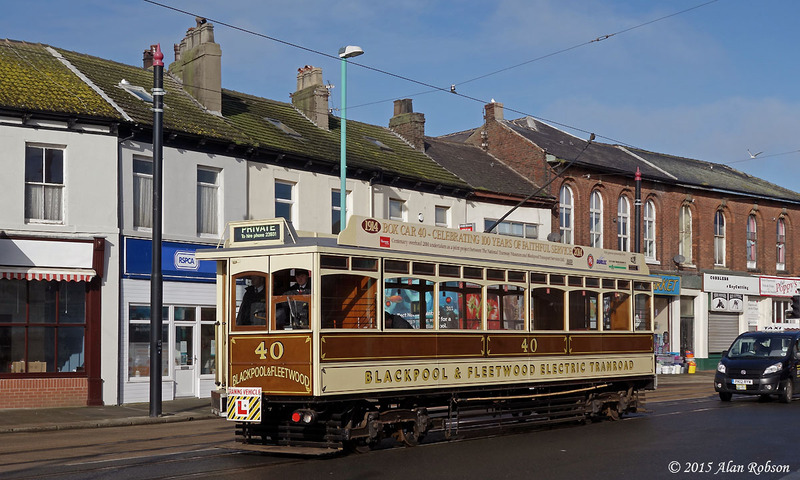 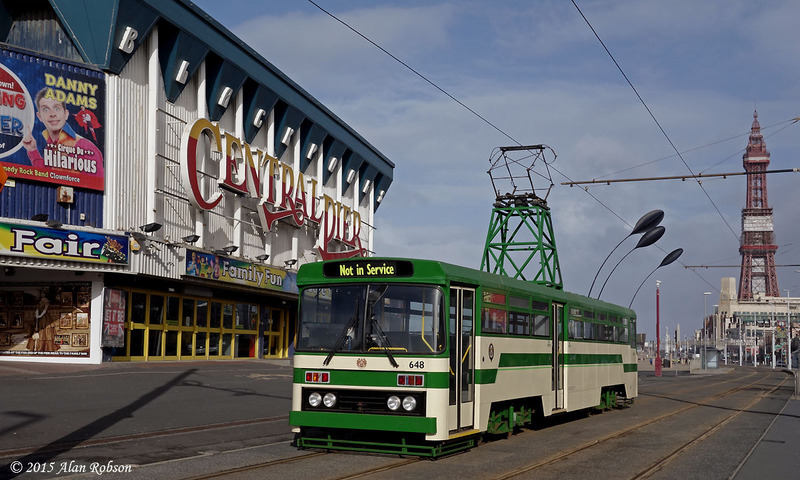 Blackpool & Fleetwood Box Car 40 was the first tram out, heading to Little Bispham then back to the Pleasure Beach before running to Fleetwood Ferry and back to the depot. 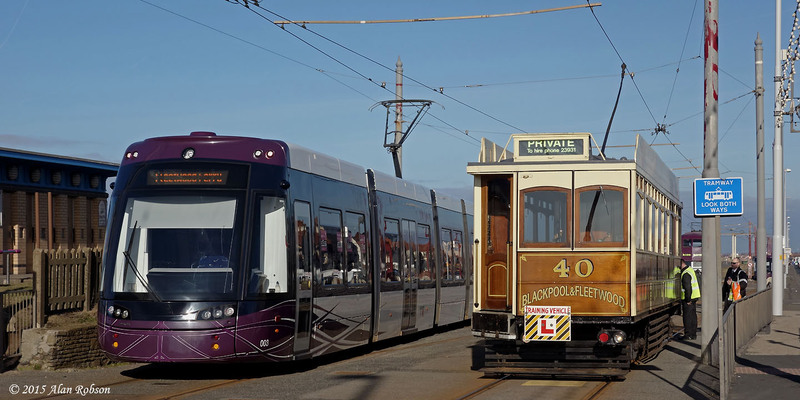 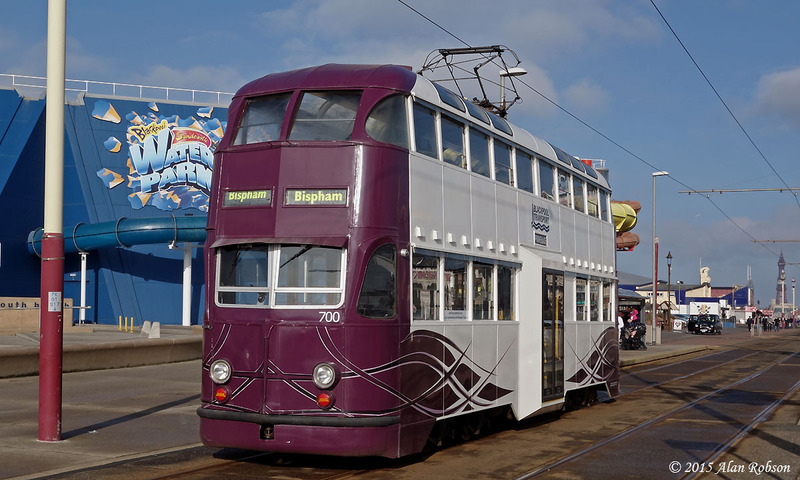 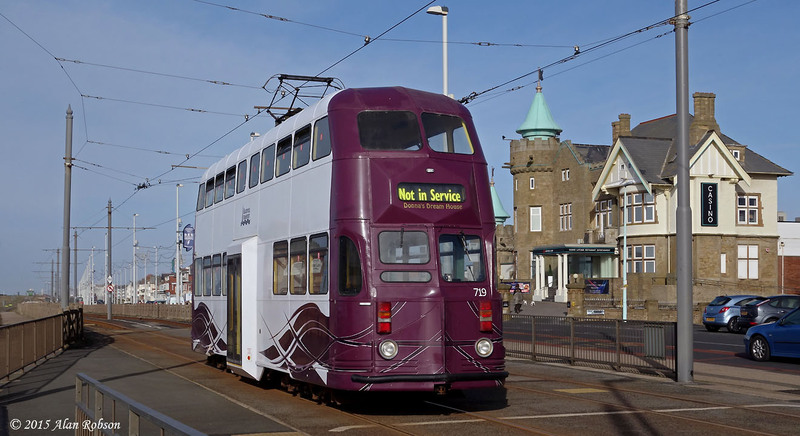 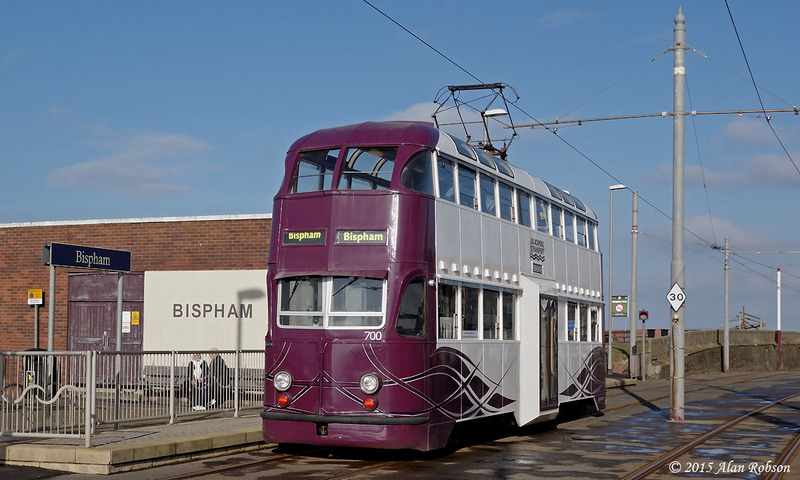 Prototype Balloon 700 also came out on driver training later in the morning, the two trams were spotted together briefly at Bispham just after midday. 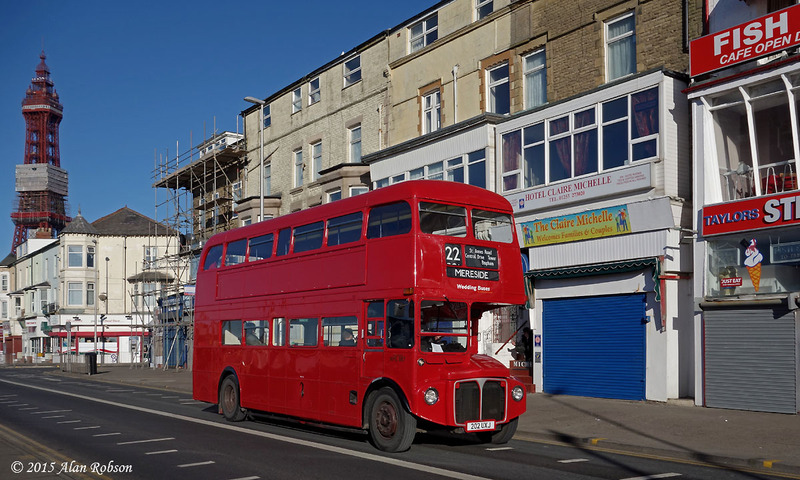 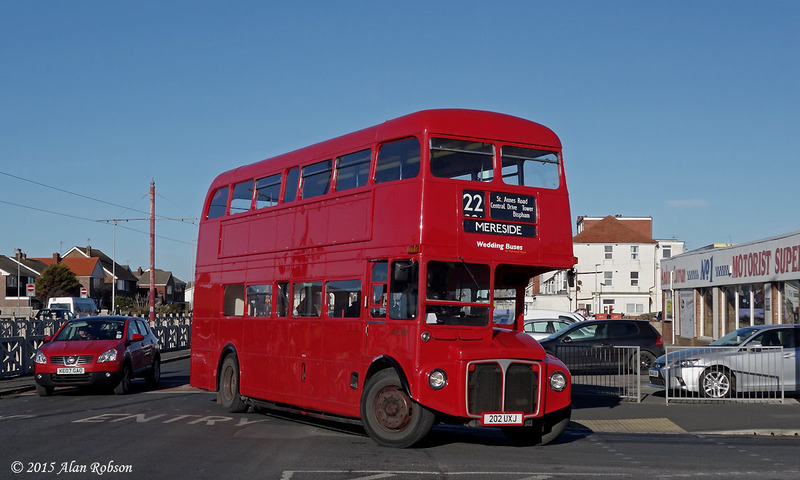 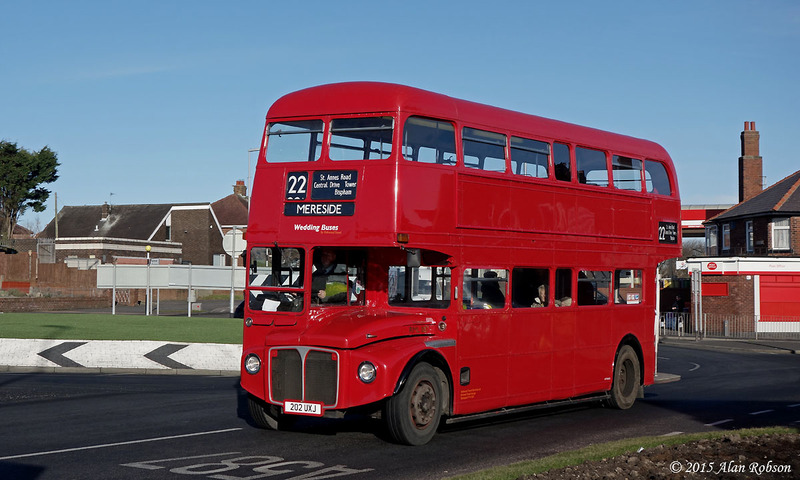 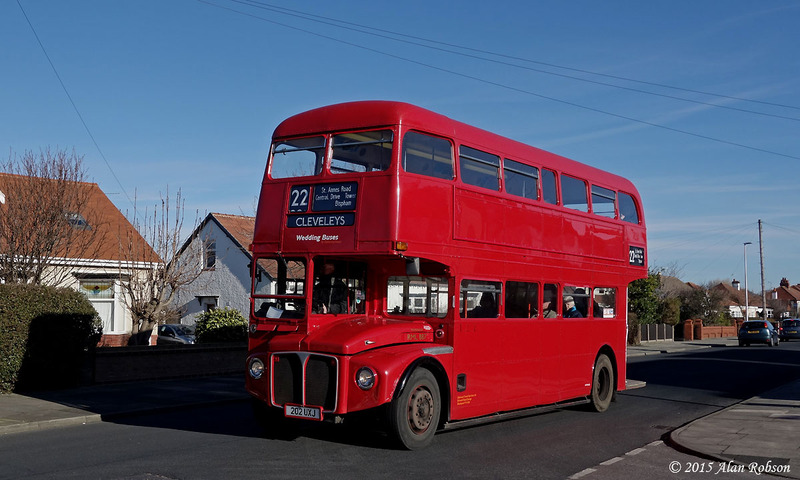 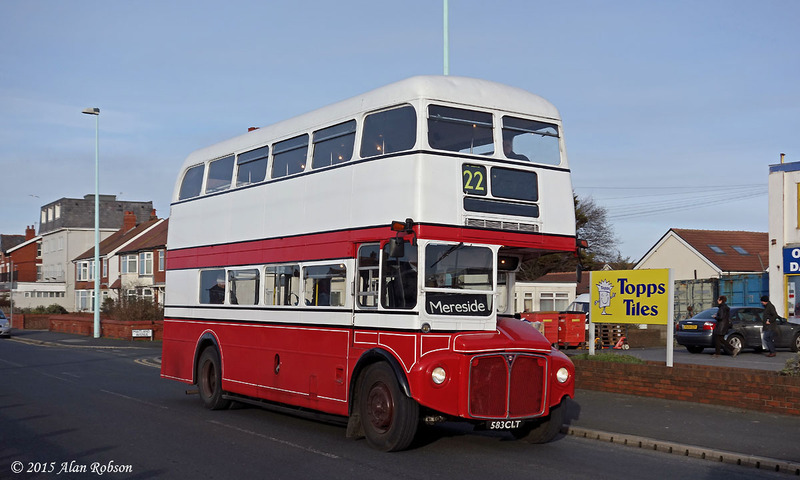 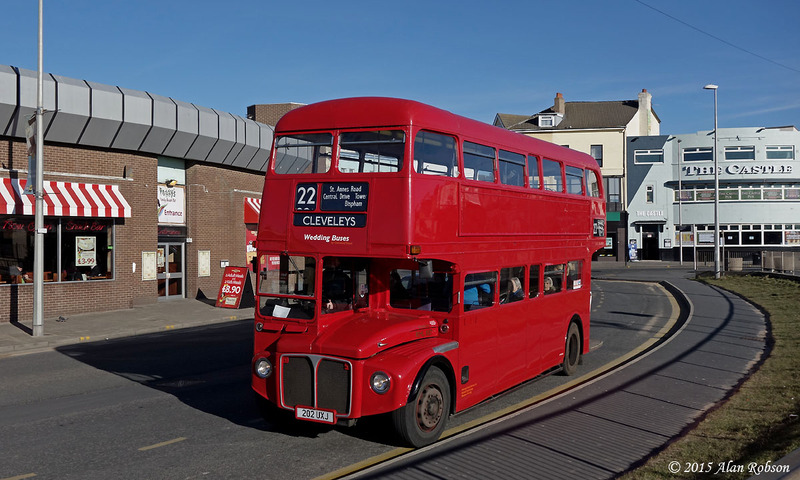 This week saw both Routemasters from the Catch22Bus fleet in action on the service 22 between Mereside and Cleveleys. 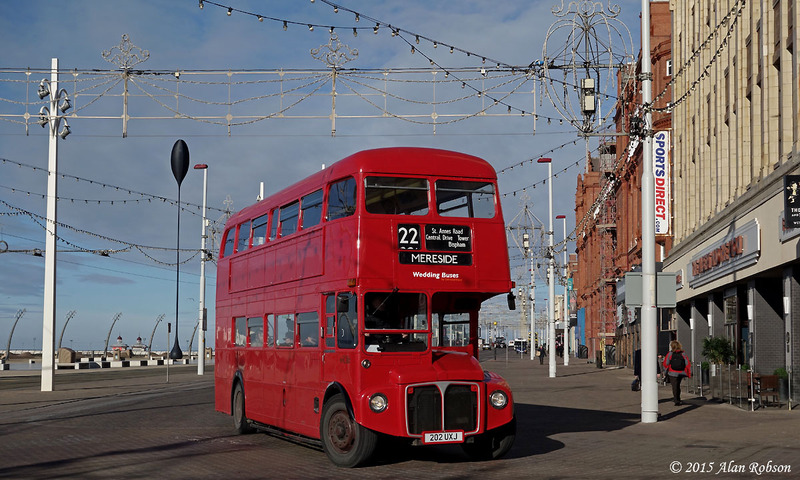 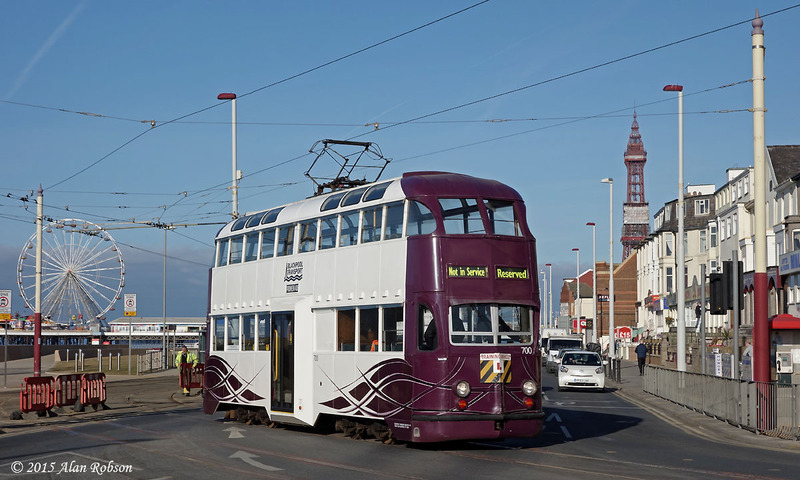 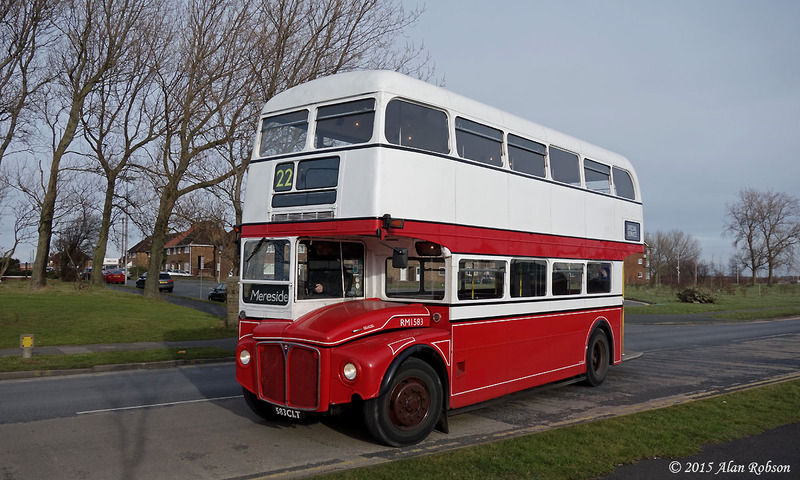 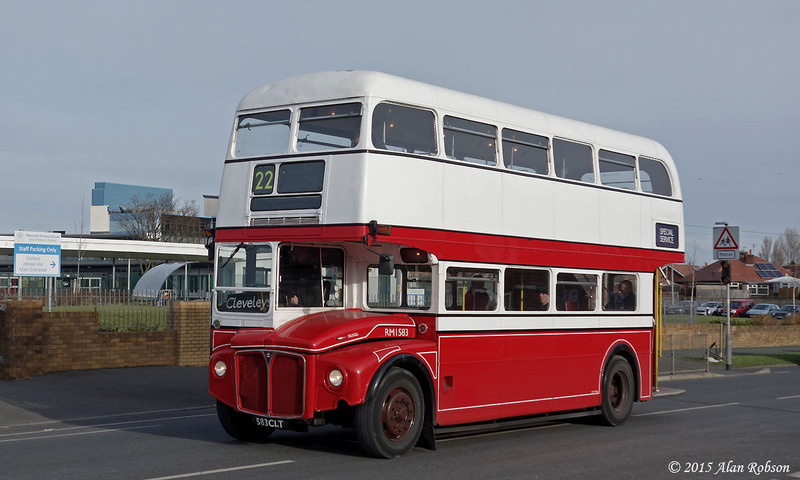 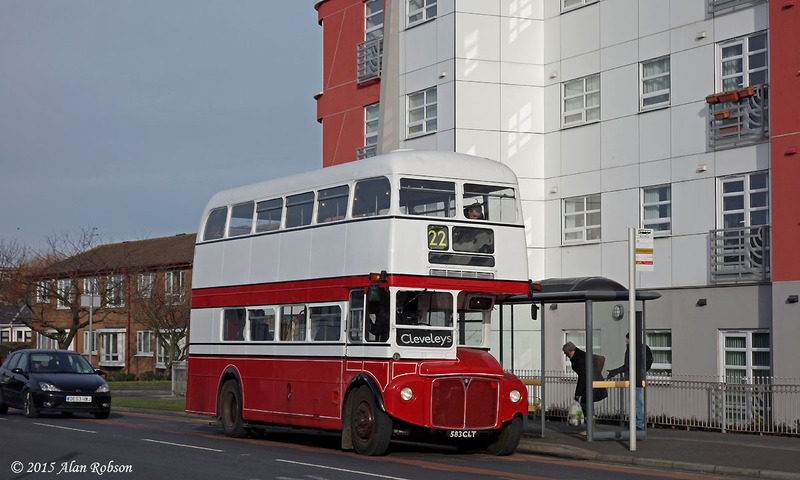 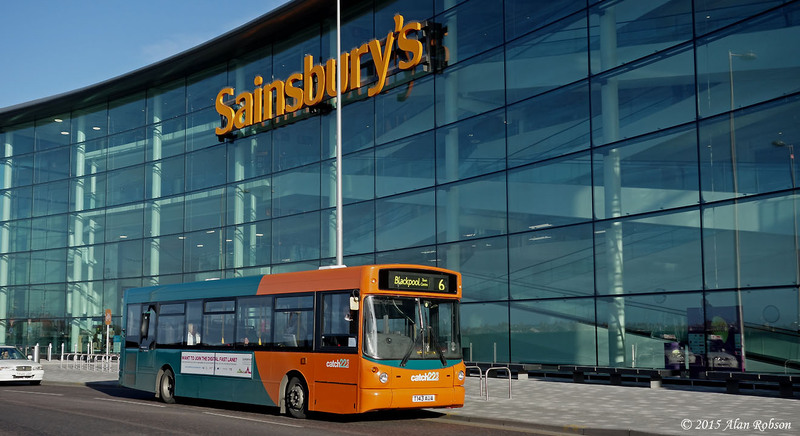 Monday 2nd February saw former Blackpool Transport Routemaster 521 (RM1583) in use, while from Tuesday it was the turn of all red RML887 to take over the reins.